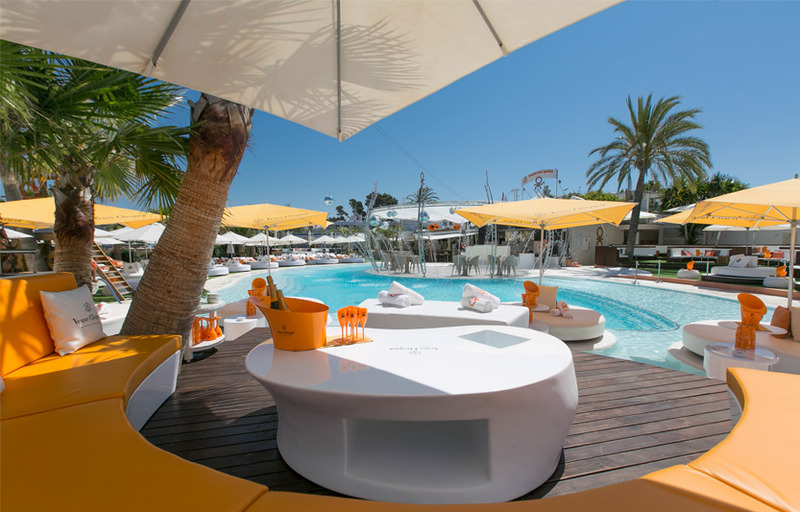 Ocean Beach delivers stylish, decadent pool parties on a daily basis ever since and as a result has become a ‘must-visit’ for anyone wanting to pop open the champagne, down the Grey Goose or Ciroc Vodka and recline on a VIP bed, all while soaking up the mid-afternoon, Balearic sun. Enjoy anything from day to nighttime fiestas, fine dining, fashion shows, acrobatics, live performances, massages and private events. Don’t bring your own towels – only Ocean Beach ones are allowed. There is a dance floor and hot tubs in the garden area. Be sure to buy tickets in advance. Where is Ocean Beach located? 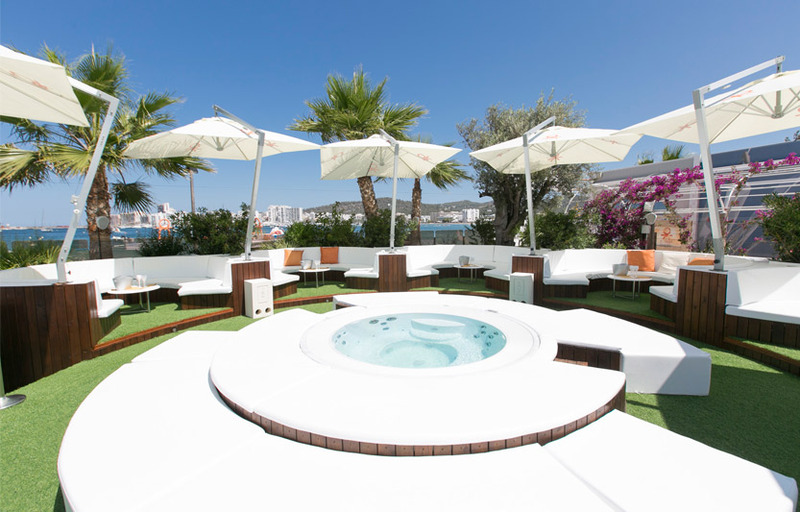 Ocean Beach is located at Carrer des Molí, 12-14, 07820 Sant Antoni de Portmany. How much is cover charge at Ocean Beach? 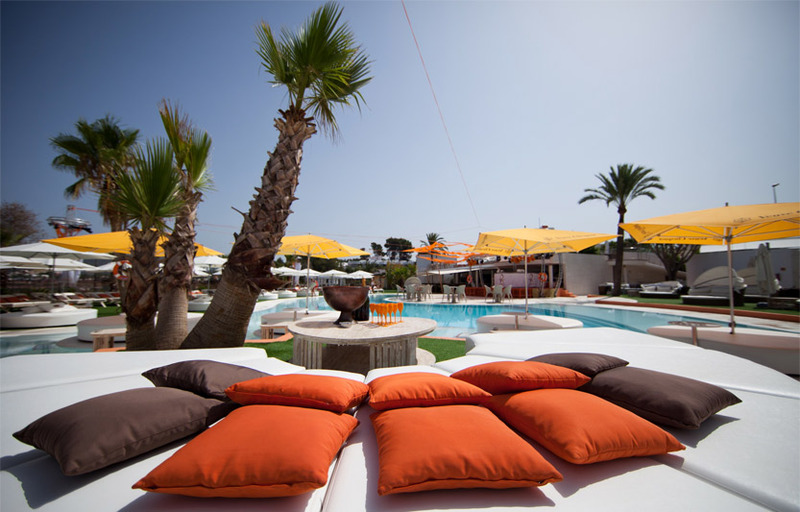 Ocean Beach charges a cover of €15 or €30 for a double sunbed. How long will I have to wait at Ocean Beach? When is Ocean Beach open? Ocean Beach is open every day. What are the best nights to go to Ocean Beach? What is the dress code at Ocean Beach? Dress to impress! Beach chic is the dress code at Ocean Beach. Avoid anything that can be considered sportswear (track jackets, jerseys, sneakers, hats, etc). How much do drinks cost at Ocean Beach? What kind of music do they play at Ocean Beach? Ocean Beach features mostly EDM. Where can I find an list of upcoming events / DJs at Ocean Beach? You can download the Discotech app to see upcoming events, and book tables for Ocean Beach.